Taras Garaschuk is a prominent Ukrainian wood carver working in Yavoriv style. All his artifacts  boxes, plates, easter eggs, statuettes  are hand-made and bear his original designs. The craftsman has also worked on interiors, iconostases, and front doors. He took part in numerous Ukrainian and international exhibitions. 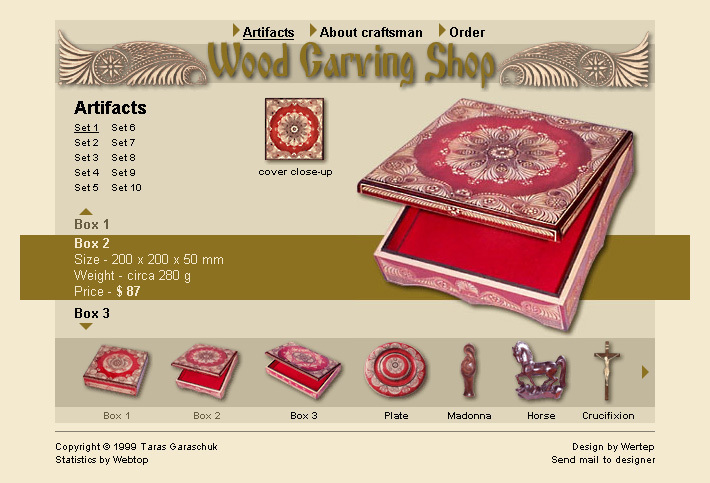 The website uses warm wood colors and ornaments from the craftsman's artifacts.